Dr. Eugenia Cheng, scientist-in-residence at the School of the Art Institute of Chicago and senior lecturer of pure mathematics at the University of Sheffield, gave the Math Is Key talk on Tuesday, March 6, 2018. Her talk, entitled, “How To Bake Pi: making abstract mathematics palatable” discussed approachable ways to think about mathematical concepts. Cheng’s mathematical interests include higher-dimensional category theory. 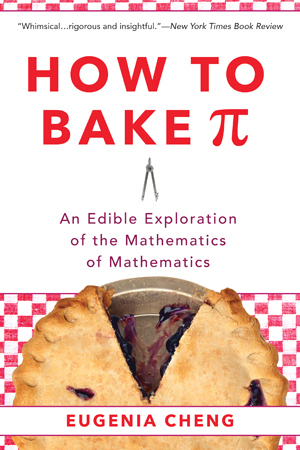 As a scholar, public speaker and author, she has also explored her passion for explaining mathematics to non-mathematicians to rid the world of math phobia – often using food and baking analogies. She has appeared on The Late Show with Stephen Colbert and has been interviewed by NPR and the BBC. She is also the founder of Liederstube, a non-for-profit aiming to bring classical music to a wider audience. She performs classical piano as a solo and collaborative pianist gives piano lessons and is a voice coach. Why does mathematics inspire love in some people and fear in others? Why do some people think mathematics is important for everyone while others think it is a collection of gibberish touching little of the world beyond the brains of some rare geniuses? Why do some think it is a creative art akin to poetry and music, while others think it is a boring tool for producing answers? In this talk, I will present mathematics as a way of thinking, and not just about numbers. 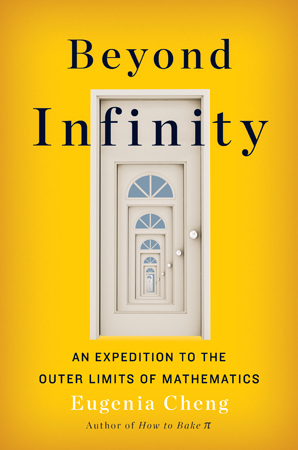 I will use a variety of unexpectedly connected examples including music, juggling, and baking, as in the title of my recent book. My aim is to show that math can be made fun, intriguing and relevant for people of all ages, by means of hands-on activities, examples that everyone can relate to, and peculiar anecdotes. I will present surprisingly high-level mathematics including some advanced abstract algebra usually only seen by maths undergraduates or Ph.D. students, yet show how to make it accessible even to children. My message is relevant to those who wish to spread their love of math, as well as those who wish to overcome their fear of it. There will be a distinct emphasis on edible examples. The purpose of the "Math Is Key" public lecture series is to invite to campus prominent mathematical scientists to present a lecture of general interest. The aim is to have a lecture that is accessible to a wide audience of students (undergraduate and graduate) and faculty from the mathematical sciences and related disciplines, and that highlights the beauty and use of some part of mathematics while maintaining technical details at a minimum. Previous speakers include Prof. S. James Gates Jr of the University of Maryland, Margaret Wright of Courant Institute of Mathematical Sciences, New York University, Martin Golubitsky of Ohio State University, Richard Tapia of Rice University and Arlie Petters of Duke University.